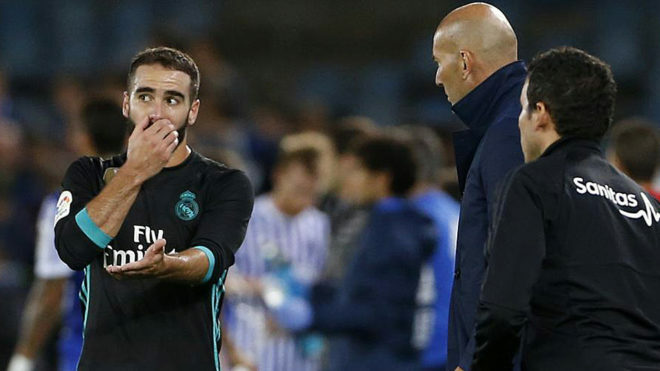 Spanish defender Dani Carvajal has summarized Real Madrid’s season as “a failure.” The defender admits that the side missed the presence of all of his Real Madrid team-mates also fell very well short of their normally high standards this reason. Los Blancos are destined to finish the season trophy-less and in disappointing fashion after exiting the Champions League in the last 16 to Ajax and failing to keep up with the pace set by La Liga leaders Barcelona, who also dumped them out of the Copa del Rey. The Galacticos’ right-back admits he is not pleased with his own contribution to the club’s chaotic 2018-19 campaign. The Real Madrid season was also highlighted by chaos in the dugout with the club burning through two head coaches – Julen Lopetegui and Santiago Solari – before Zinedine Zidane returned in March after resigning at the end of last season after leading the club to a third consecutive Champions League title in 2018. 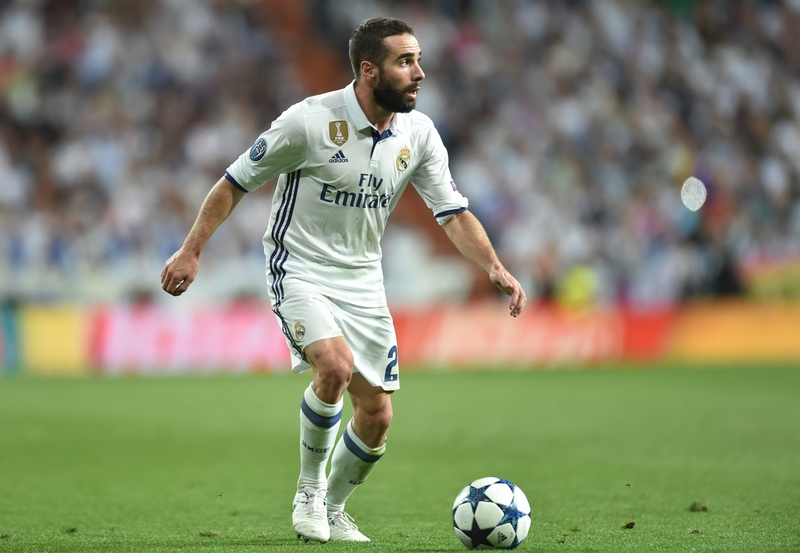 Carvajal has featured 28 times in all competitions for Madrid this season but admits he is less than impressed with his contribution. He was asked by Spanish Media outlet Marca how he would grade himself out of 10, he responded: “I’d give myself a four, a fail. I go with what the group is, and we’ve not done things well. Real Madrid travel to Leganes on Monday looking to close the gap between them and second-place Atletico Madrid to two points. Los Blancos have little to worry about making Champions League qualification as they do not have very tough fixtures ahead of them. Zidane has overseen three wins from four since his return and he is eyeing a respectable finish to the season. It is reported that he wants a squad overhaul when the transfer market reopens in May. Players such as Eden Hazard, Sadio Mane, and Paul Pogba have been identified with a view to reviving the club’s fortunes next season.